HypnoBirthing is a philosophy as much as it a toolkit of techniques. Developed by Marie Mongan, HypnoBirthing demystifies the process of labour and birth, removing the fear which leads to tension and discomfort so commonly associated with the process of birth. It involves practical guidance for relaxation, self-hypnosis and breathing techniques that are used for pain relief during labour and childbirth. HypnoBirthing works by ‘dehypnotising’ you, and your birth partner, from any negative associations or entrenched ideas about labour, birth and hypnosis. By dispelling the perceived myths about childbirth promoted by modern medical beliefs, the media and society, it allows you as the mother-to-be (and your birth companion) to realise that the process of labour and birth does not have to be one of fear, tension and pain. This ‘unlearning’ of what has been perceived as a ‘normalised’ birth process allows you to see how the body, when allowed act in accordance with nature (all being well), is designed to bring a baby into the world smoothly, easily and with the minimum, if not the absence of, any discomforting sensation. The reframing of medical terminology, the demystification of the physiological process and the introduction to the power of the mind/body connection (through short psycho-physical exercises) illustrates how HypnoBirthing enables and empowers the birthing mother and her partner to act in concert with the natural process of labour and birth. Thus, this calm, fearless birthing process is, in reality, the ‘normal’ birth process and is completely achievable, no matter what turn birthing may take. 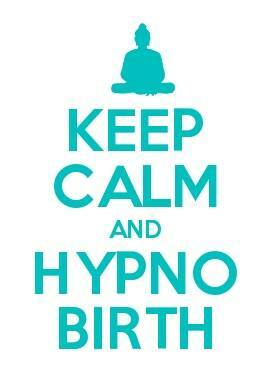 HypnoBirthing is suitable for first time mums and mums who have given birth before. The Mongan Method is for women who are scared of birth because they’ve never done it before, who are anxious because of a bad experience last time, or who just want a calmer, easier, more natural birth experience. Hypnosis is a voluntarily-entered state of profound relaxation. It is similar to daydreaming or the altered state of consciousness you achieve when focusing intently on something, like the TV or a favourite book. All hypnosis is self-hypnosis – you are always in control of your mind – only you can decide if you want to be deeply relaxed, after all. If you’ve ever meditated, this is a classic example of self-hypnosis. Relaxed, clam but aware and alert within your focus. You are aware and conscious in this light trance state, though in this state you are highly responsive to positive suggestions that you wish to assimilate. These positive suggestions are used to assert or restore helpful patterns of thought or behaviour by removing previous unhelpful, negative or unwanted thoughts, beliefs or behaviours. You cannot become stuck in this trance state anymore than you can become stuck watching TV. You will either naturally come out of hypnosis, or fall asleep, in which case you will wake up just as you would when you fall asleep at any other time. Unfortunately, TV, film and stage portrayal of hypnosis has left a lot of people with a mistaken view of what hypnosis is, and what it can (and can’t) do. This dedicated page on the HypnoBirthing website explains how self-hypnosis and light trance states contribute to “a reduction of complications, surgery, and hospital stay show direct medical benefit to mother and child…”. The aim of HypnoBirthing is not a completely pain-free and picture-perfect ‘natural’ birth, although that is possible; it is to have a calmer, easier, more comfortable birth- where you are in control – and in a way that most mirrors Nature. There are many factors that can affect a birth, some of which are outside our control. Also, like any childbirth preparation class, the success of the techniques is related to the amount of practice you put in. However, as a guide, we find that around 65-70% of HypnoBirthing mums don’t need any form of pain relief. Nearly all the mums in this category simply don’t experience any pain – just pressure. Around a further 20-25% only require something mild, like gas and air. The remaining 5-10% usually fall into what we call ‘special circumstances’, where medical intervention is required. However, the HypnoBirthing mums still tell us that HypnoBirthing really helped – even if they were induced, or ended up with a caesarean.